Dekpol is developing a specialization in the construction of warehouse facilities - Grupa Dekpol S.A.
We have been involved in comprehensive investment implementation for over 25 years. We achieved the best result on the GPW – a 254% increase in the share price in 2017. Dekpol dynamically increases the order portfolio and competence in the construction of modern warehouse facilities. Under the current contracts, the company will provide a total of approximately PLN 230,000. m2 of usable surface. According to the forecast, the entire general contracting segment in 2018 will provide the Capital Group with PLN 540 million of sales revenues. Dekpol in a part of general contracting services is very much committed in the implementation of warehouse projects. It has high competences in this area. The Group is currently building several facilities, which will provide a total of approximately 230,000 m2 of modern warehouse space. For comparison, in the field of logistics projects, Dekpol has so far completed projects covering a total of 220,000. m2 of usable space. The latest order is implemented by Dekpol in Kokotów. In the general contracting system called “design and build”, comprehensive construction works are carried out, including a warehouse and office facility with an area of approx. 40.4 thousand m2 with the necessary technical infrastructure. 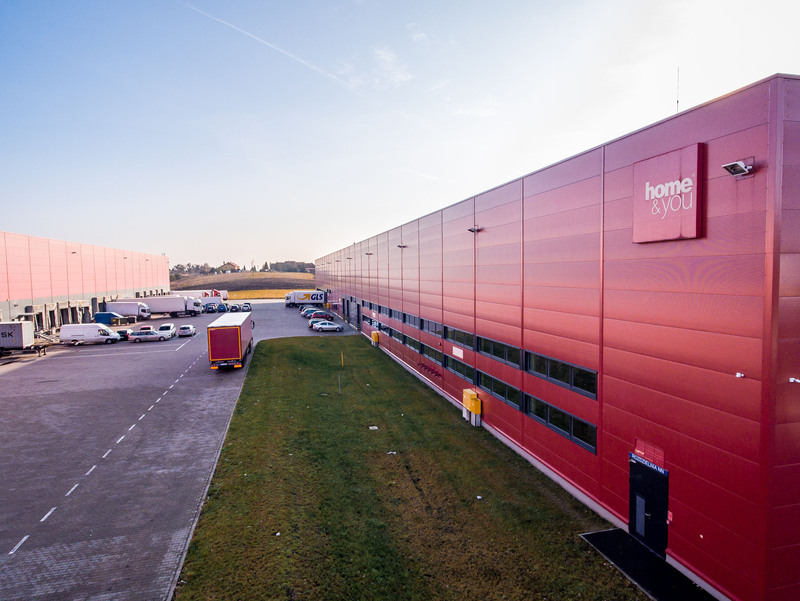 On the other hand, a high-storage warehouse with a usable area of approximately 29,000 m2 is being built in Pruszcz Gdański. The Dekpol Group in the area of construction of logistics parks is also present, among others in Warsaw, Gdańsk, Szczecin and Siemianowice Śląskie. However, production and storage facilities are also made for clients, among others in Nowa Ruda, Linowiec and Śliwice. According to the financial forecast, the turnover of the general contracting segment in 2018 will amount to PLN 540 million and will constitute 67% of the total revenues from sales of the Dekpol Group. The implementation of contracts for cubature objects, including mainly warehouses, is becoming more and more important. “The warehouse industry is developing very dynamically. We participate in this growth by implementing more and more projects regarding modern logistics spaces. We have extensive competences thanks to which we are an attractive partner for property developers and enterprises planning their own investments in this area “– said Michał Skowron, Vice-President of Dekpol SA. All works are carried out on behalf of private investors. The main area of activity is the Pomeranian Voivodeship, where almost 54% of projects are carried out.